Over the last couple of years, I’ve noticed that Amsterdam has become a favourite city break destination for lots of travel bloggers. It’s quick, cheap and easy to get to – there are budget flights available from most UK airports with a flight time of about an hour and half – and there’s plenty to do there. I visited Amsterdam way back in 2013 and it became one of my favourite UK city breaks. I took an overnight cruise from Hull and was in the city for a day trip which was really fun, and a totally different way to travel. I was actually really surprised by Amsterdam. I thought that I may find it a little sleazy because of what I’d heard – the red light district, the cafes. etc – but it’s actually a really beautiful city with plenty to see and do. 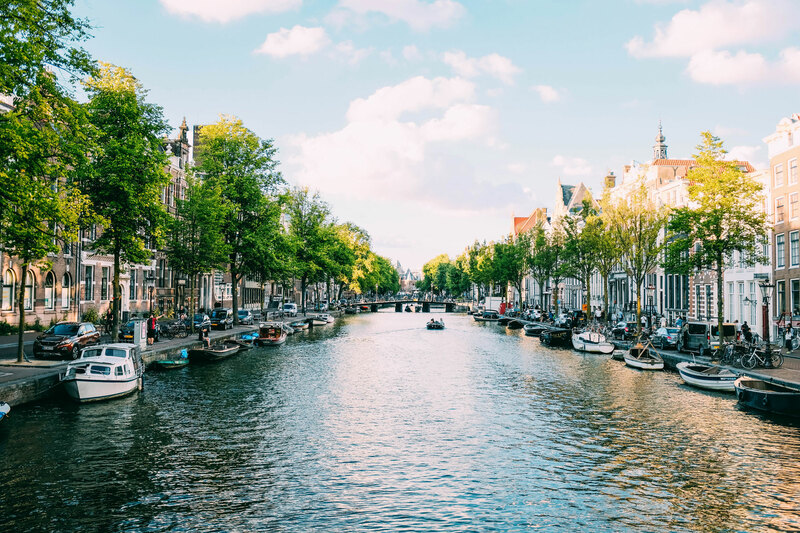 The streets and the canals are really beautiful – there are plenty of photo opportunities for Instagram – and I really loved just wandering around and discovering new things. EVERYONE cycles in Amsterdam and it’s a great way to get around and see more of the city. The city is literally built for cyclists and you’ll feel like a local as you travel around on two wheels. I actually didn’t hire a bike while I was there as I’m very very clumsy and I was terrified I would fall off and break a limb. I’m a lot braver now so next time I go back I’m definitely hiring a bike! I loved the Anne Frank House on my trip to Amsterdam. This is a museum located in the house where Anne Frank went into hiding and is full of exhibitions about Anne’s life story. I remember reading Anne Frank’s diary when I was really young and so visiting the house was a really emotional experience. Ok, so this is a real “experience” – I saw things here that I have never seen before, might never see again and probably never wanted to see! There are plenty of photo opportunities and there are hundreds of pieces of art, unique objects and rare old photographs. It’s great for a giggle. I actually didn’t do this when I visited Amsterdam so I’m not sure whether it wasn’t open back then or whether I just hadn’t heard of it, but it’s definitely on my list for my next visit. It’s an observation deck where you can get amazing 360 degree views of Amsterdam situated at the top of the A’dam Tower. There’s an interactive exhibition here where you can learn more about the history and culture of Amsterdam, a restaurant and bar (where better to enjoy a glass of champagne?!) and the best part, Europe’s highest swing. The swing is 100m high and swings backwards and forwards over the edge of the tower to give you great views of the city beneath your feet. One not to be missed if you’re an adrenaline junkie. I would definitely avoid the Ice Bar, especially if you only have limited time in Amsterdam. It’s quite expensive, and not everything is made of ice which was what I expected. There’s also a bit of a weird video that you have to watch before you go in and you only get one small drink included in the price. Plus, even with all the extra clothes that you get given it is really cold, so I couldn’t stand it for too long. What are your favourite things to do in Amsterdam? Let me know in the comments!